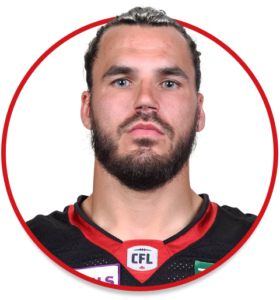 Jean-Philippe Bolduc is a defensive back currently playing with the Ottawa REDBLACKS. Selected in the fifth round (38th overall) of the 2016 draft. Signed on May 23, 2016. Re-signed Dec. 4, 2017 to a two-year contract extension. Suited up for seventeen games in 2017, contributing fourteen special teams tackles. Had a season-high three special team tackles against the Toronto Argonauts on July 24, 2017. Part of the stingy Laval Rouge et Or defence that in 2016 allowed just 240.9 passing yards and 12.6 points per game. In eight games for Laval, Bolduc had 21.5 tackles, one interception and one fumble recovery.